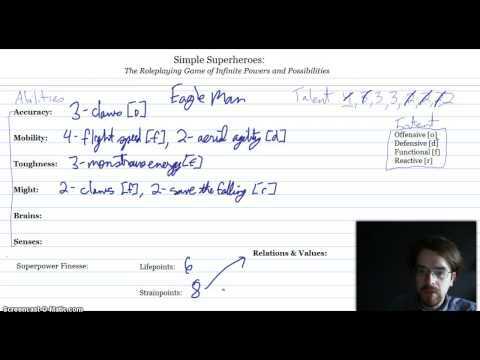 As part of the process for getting ready to crowdfund a print run of Simple Superheroes ISSUE 0, I've created this character creation example Video. Check it out! More details on the Kickstarter will be following shortly as the launch date is only a few days away! We're going to get the ball rolling this Thursday May 17th, 2015, in time for CanGames, one of my favourite conventions, where I will be running tons of games. I am incredibly excited to be so close to bringing this great game to you! We've got a pretty busy schedule with CanGames this weekend, Origins at the beginning of June and GenCon at the end of July.